« Harvest Wine Tour 2013! The first Point Wilson lighthouse was a 46 foot tall frame tower built into a keeper’s house in 1879. This first light was a fixed beam that could seen for up to thirteen miles. Less than 20 years later, in 1894, a new, fourth-order Fresnel lens was installed in the lighthouse, adding a red flash at twenty second intervals to the fixed white beam. Storms and high tides eat away at Point Wilson’s beach with such regular ferocity that, by 1904, the erosion endangered the structure. 1,542 tons of stone had to be brought in to shore up the point. The erosion continues despite these measures and eventually moving the station is now considered the only viable recourse. The Point Wilson Lighthouse as we now know it was built in 1913 the present distinctive structure was built. The original lighthouse, minus its tower, remains on site and served for many years as the keeper’s house and then as a Coast Guard dormitory. The current, 1000 watt light is housed atop a forty-nine-foot, octagonal concrete tower, shaped to withstand the pressure of storm gusts. The light was fully automated in 1976 but still shines from the same lens installed in 1894! No longer considered essential for aiding navigation, Point Wilson Lighthouse is open for tours on Saturdays in May through September from 1:00 to 4:00 and for special tours on request. 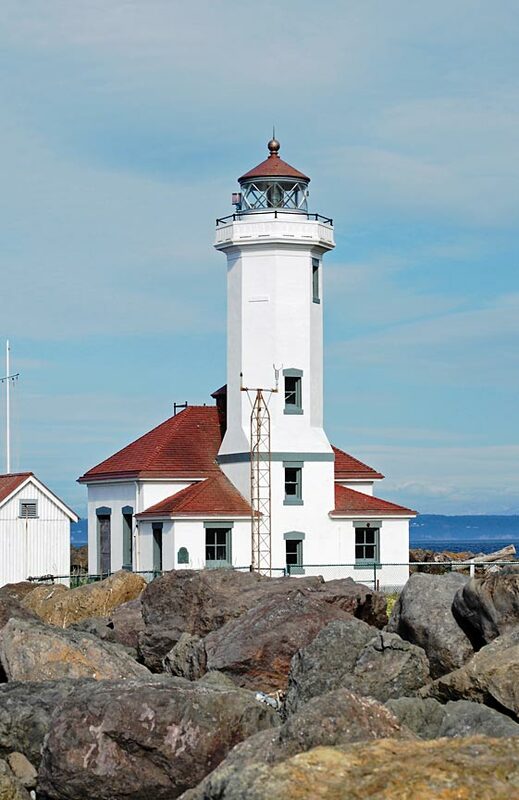 Even when it’s not open for touring, the surrounding Fort Worden State Park offers many things to see and do, not the least of which is the iconic view of this historic lighthouse rising above the sands of Point Wilson. 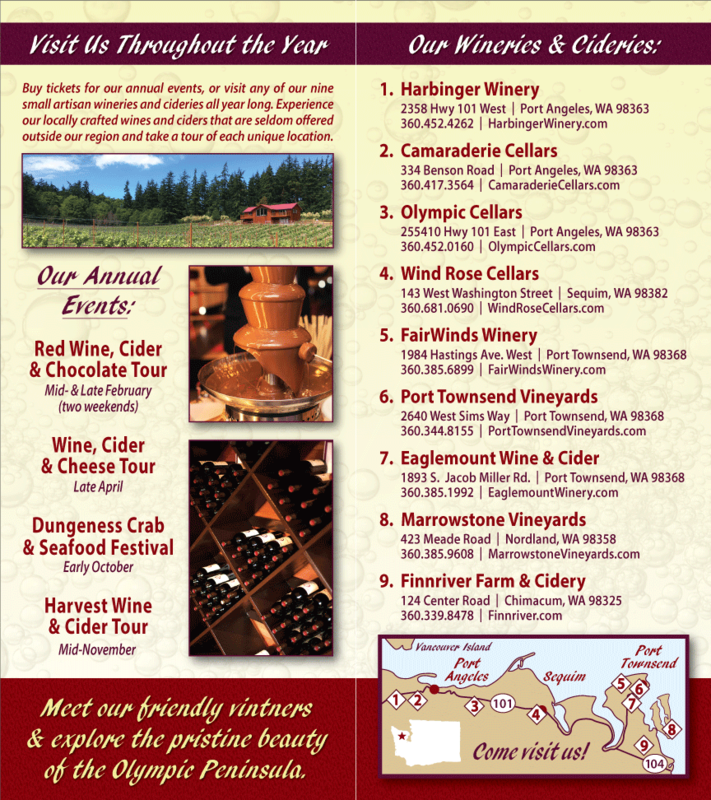 When you’re in the Port Townsend area, be sure to check out the local cideries and wineries. Many feature tasting rooms, product for sale, or other vine attractions.